General Info | TOYAMA CHIHOU TETSUDOU INC. 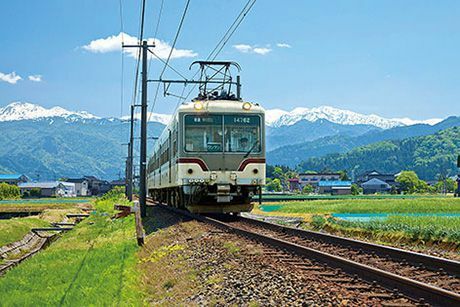 Founded in 1930, Toyama Chihou Railway is a private rail company that operates railways and bus routes in primarily eastern Toyama Prefecture. 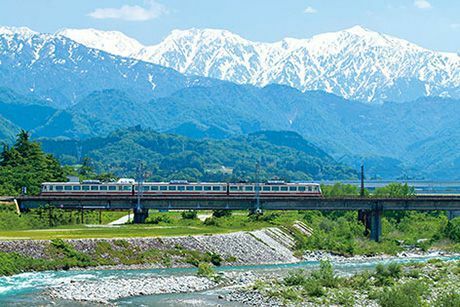 It is also involved in tourism and leisure business, the best-known example of which is the Tateyama Kurobe Alpine Route, as well as the travel agency and real estate industries, among others. 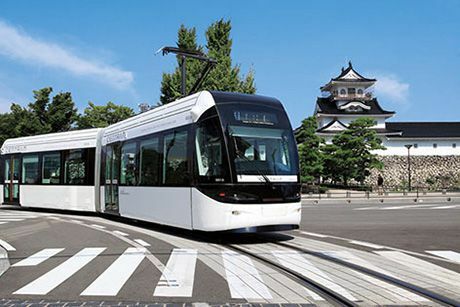 The company operates tramways that run through the Toyama city center as well as railways that run from urban Toyama to tourist destinations such as the Tateyama foothills, Unazuki Hot Spring, and Kurobe Gorge. The tramways and railways have total lengths of 7.6 km and 93.2 km, respectively. This brings the total length of all lines to over 100 km. The company has four rail lines used for getting people living along the tracks to work or school, as well as for transporting tourists. 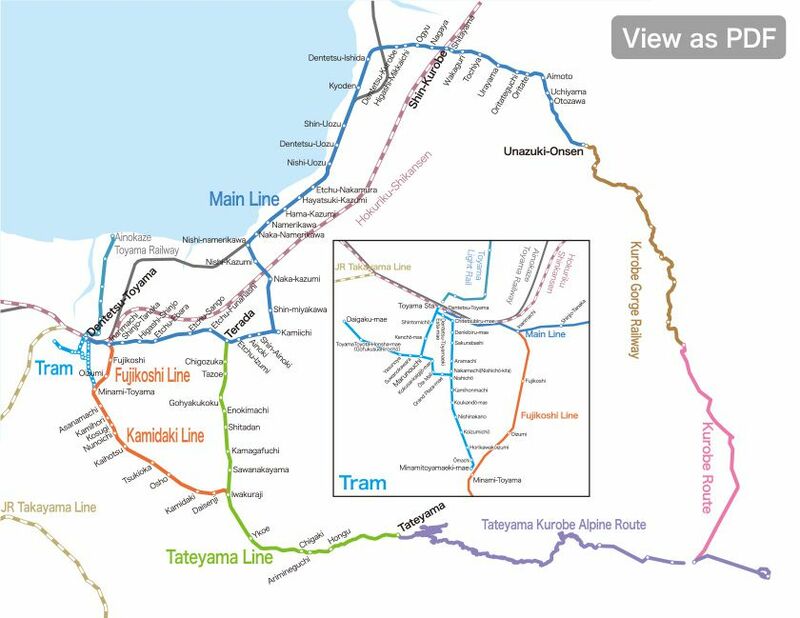 These are the Main Line, which heads towards Unazuki, the Tateyama Line, which heads towards Tateyama, and the Fujikoshi and Kamidaki lines.